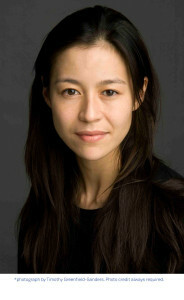 Chai Vasarhelyi is a director and producer with Hungarian, Chinese, and Brazilian roots. She grew up between New York City and Rio de Janiero and graduated from Princeton University in 2000 with a B.A. in comparative literature. She made her film debut with A Normal Life, which she co-directed and cowrote with Hugo Berkeley – and this hour-long documentary about young Kosovars who came of age during the recent war won the 2003 Tribeca Film Festival’s Best Documentary award. Chai has received grants from several foundations including the Ford Foundation, the Rockefeller Brothers Fund, and the William and Mary Greve Foundation. Chai has worked with Emmy Award-winning teams documenting the 2007 Paris-Dakar Rally, girls’ soccer in post-Taliban Afghanistan, and a New Orleans high school basketball team that emerged from the devastation of Hurricane Katrina to win the 2005 All-State Championship. She has received an Achievement Award from the Creative Visions Foundation. I Bring What I Love marks Chai’s first feature-length documentary film. /One/: How did you first learn of Youssou N’Dour? Chai Vasarhelyi: I grew up with world music but it was mostly Brazilian; my father’s Hungarian and grew up in Brazil. I was interested in making an uplifting film in Africa, and a film called Amandla! had come out which looked at the events in South Africa through music. Also, someone had given me a mix tape with a West African artist on it, so it made me like West African music. At the same time I had this premise of looking at Africa through music. Youssou is the most celebrated living contemporary musician today in Africa, and the first time I heard him perform at Carnegie Hall was kind of a life-affirming experience. I didn’t understand a word of what he was singing about, I didn’t understand the context, but there was something so emotionally honest about him and it really touched me. So I wanted to meet him and see if this was the right story. /One/: Did you just approach him? CV: Yes, how the film came to be has a lot to do with how I approached him. The first time was through a Senegalese friend of a friend who owned a bar in New York; he introduced me to Youssou briefly after that concert. I mentioned that I wanted to make a film, so we met the next day on the street for about 10 minutes, and then I met with his management and his record label, and at the end I heard that there is this other album, that it’s something very special. Youssou is very hard to pin down. I knew he was playing in Europe and I was working in London, so I went to Spain and literally snuck backstage at a concert. He looked at me like, “What are you doing here?” and invited me to eat with them. That’s when he gave me a burned copy of the Egypt album. /One/: Was the album already out? CV: He recorded it in 1999 and was going to release it in 2001, and then 9/11 happened. So he held the release. When I met him in late 2003/early 2004, he was thinking about finally releasing it. He burned me a few tracks from a laptop, and I followed the band in my car as they drove to Grenada for the next show. I’ll never forget driving into this city that symbolizes everything—the east and west and the religious persecution and the call of the Moors—and listening to Egypt. I just knew that I had to make this film, because I was flustered with the situation with America and here was someone actually standing up for something he believed in and presenting a tolerant face of Islam, which is not what we saw in the media. /One/: How many years did it take to make the film? CV: I filmed for two-and-a-half years and edited for about two years. Later in the editing I had to go back and do a few more things, so it was on and off for four years, and then a year to release. /One/: This movie is a departure from your previous documentary. CV: The team is consistent: I have the same editor and I would say the films are very close to each other although very different in subjects. My first film is called The Normal Life, and it’s about six friends after the war in Kosovo. We were all the same age when I began making my film. It’s a very sincere film, and part of my heart still lies in the ground in Pristina. Both films are very similar in terms of the heart that’s in them and both are stories that you would not necessarily have heard but that do pertain to our lives. They’re similar filmmaking style. The gaze is similar. /One/: How do you find your subjects? Chance, or are you always looking? CV: I think you know when you find them and as you get older, you tend to become more discerning. I really wasn’t sure about Youssou as a subject. I was very tentative and it was the Egypt album that just turned me. I knew at that moment this was the film I had to make. It’s a very idealistic way of looking at it, but it was that important to me. Similarly, with my first film, I knew there was a story there in Kosovo; I couldn’t understand how it was possible there was a war and ethnic repression going on in 1999. I thought we’d resolved this stuff and here it was happening in the middle of Europe. It was very idealistic to get on that plane. I was in college and I was like, “Let’s go to Kosovo.” I met the subjects of that film—all translators for places like The New York Times and Washington Post, who were exactly like me except where they were born. These individuals are extraordinary and grew up waiting for war. The understanding that so little, yet so much, separated us blew my mind. I didn’t know it would take four years to make the film and I didn’t know how hard it was. I’d never gone to film school. I’d directed plays, but that was very different. /One/: Why film? You’re in college and you want to tell this story—why decide on film as a medium as opposed to, say, writing about it? CV: Film relays the most amount of information in the least amount of time. Also, it brings to life emotions in a way that will allow people to identify with the subject. /One/: Did you have a prior knowledge of the Griot tradition before meeting Youssou? CV: I actually did. When I was growing up I’d learned about the Griot tradition from a book we had to read in a French class about West Africa. I wasn’t intimately acquainted with it, but I had since eighth grade discovered what Griot was. The Griot tradition is fascinating and relates to the idea of the epic tradition, and that was another connection between the Kosovar Albanians and the Senegalese. Albania is one of those places that the idea of epic poetry is still alive and that people recite their poems. There was something I found very compelling about that type of storytelling. /One/: How does Youssou manage to keep true to the tradition and yet be so popular? CV: I don’t think that popularity and the Griot tradition are in conflict with one another. The Griots were popular musicians; the Griot was for the people. As a pop musician it’s a different issue. How does he stay true to it? I think it’s in his blood. It’s all he knows. What he actually sings in In Your Eyes is “If you want to educate your people, build a school.” His art has always been his activism. His activism has always been his art. He has devotionals and he does have some love songs. But even the songs that are about women are things such as “respect your aunt.” There’s a social message to everything he does but it doesn’t feel like medicine because of the Griot tradition. It is the role that he plays and there’s a place in that society for that type of music. /One/: Youssou has been referred to as the Bono of Africa. Other than the activism apparent in his music, what other type of humanitarian work has he been involved in? CV: Youssou has been a tireless humanitarian. He became a UNICEF Goodwill Ambassador in 1987. His first time going international was part of Amnesty International “Human Rights Now!” tour alongside Peter Gabriel. He’s very much into the rights of children, including education and health. Malaria is also something that’s very close to his heart. He’s even testified before Congress about the disease. What’s fascinated me is that he’s really asked to speak on behalf of a continent, and that’s a very strange thing. I mean, who are we to ask one guy because he happens to be from Africa to speak on behalf of a continent? Youssou insists on living in Dakar. He says there’s an airport, and that he can fly anywhere. He insists on bringing a lot of these things that he sees abroad in his development at home and I think it’s got to do with his roots, it’s got to do with the Griot tradition and staying close to the issues that pertain to the lives of everyday Africans. /One/: You are quoted as saying you are a “change the world” kind of person. What is your definition of “change the world,” and what do you think is the responsibility of individuals in communities to try to achieve that? CV: I think Youssou is a really good example of what you can achieve. I don’t know if what I can do will have any effect on other people’s lives. For me, I saw a story I thought was very inspiring and maybe a film showed that story to more people and touched their lives. We all have a responsibility to stand up for what we believe. My mother is Chinese and fled oppression in China. My first film was set in Kosovo, where people didn’t have basic human rights. It’s very easy to say, Everyone stand up for what you believe in, but at the same time you also want to live to see the next day. It’s nuanced. At the time I made the film—after 9/11, war going on in Iraq—I felt helpless: Here I am going to Kosovo making movies, and does it mean anything? /One/: Why did the Egypt album grab you so much? CV: Here was an artist standing up and essentially celebrating a tolerant face of Islam, which was not at all the story we saw in the mainstream media, and I thought that was brave. Islam is a very diverse religion—why are we only hearing one version? Youssou’s Egypt project brings that to life: He was a black West African reaching out to North African Egyptians. They didn’t speak the same language but were celebrating a common tradition in a very old Arabic musical style about the Senegalese Sufi brotherhood. It just raises questions, and that’s what I was interested in. It wasn’t dogmatic, he wasn’t on a soapbox, he wasn’t preaching to anyone—he was truly just celebrating and telling the stories. /One/: Were you and Youssou surprised at the negative reactions to Egypt given the fact that he was so popular? CV: I think Youssou definitely pushed the envelope when he released an album during Ramadan. I think that no matter where you are that was definitely new. /One/: Why did he do that? CV: Essentially because he was implying that this is spiritual music, why can’t you listen to it during Ramadan? What happened was that it was misunderstood for many different reasons and the reaction was so extreme, so fast that there were debates on the radio, people were calling in raising objections, and the TV station pulled the ads off the air without letting them know. Overnight 20,000 cassettes were returned by street vendors. /One/: If he had released it in another month, not Ramadan, do you think the reaction would have been as negative? Was that the reason for the negative reaction or was it him singing sacred verses? CV: I think it was definitely a combination. I think in releasing it during Ramadan he was introducing it into the sacred space and that brought it to a head. Ramadan is a time of spiritual reflection and Youssou was introducing this music as a way of spiritual reflection, and so it just illustrated his point in a particularly clear, black-and-white way. I think no matter when he released it, it would have raised eyebrows and been a topic of discussion, but doing it this way was very intentional. /One/: Has his popularity been restored? CV: It was such an extraordinary thing that happened around the album: the Grammy and the endorsement from religious singer Mustapha M’baye. What you see in the film when they go into that studio to sing about the Prophet Mohammad, it’s the first time that a religious singer was in a recording studio. You had music in the spiritual realm but it wasn’t recorded and it certainly wasn’t released. It was recorded in a tape recorder and when you walk the street you hear it but Mustapha, by crossing that line, lent his support to Youssou, which was a very big deal because he’s one of the most celebrated religious leaders in Senegal. And the Grammy was like winning a gold medal—that’s the only way to think about it. No one knew what a Grammy was. Kabou Gueye, the assistant composer turned to me once it happened and asked, “What’s a Grammy?” I said, “It’s a big international award.” It was the first time a Senegalese had ever won it. I think Senegal was such a tolerant society that allowed that reconciliation, when do you see the media admitting they’re wrong? No one does that. In Senegal they said, maybe we were wrong. Now, there’s a whole genre of sacred recorded music. There’s a woman who was one of Youssou’s backup singers that is now a famous Sufi recorded artist. This entry was posted on Monday, January 25th, 2010 at 8:10 pm	and is filed under Interviews. You can follow any responses to this entry through the RSS 2.0 feed.